White embroidered Love Larnies T-shirt. 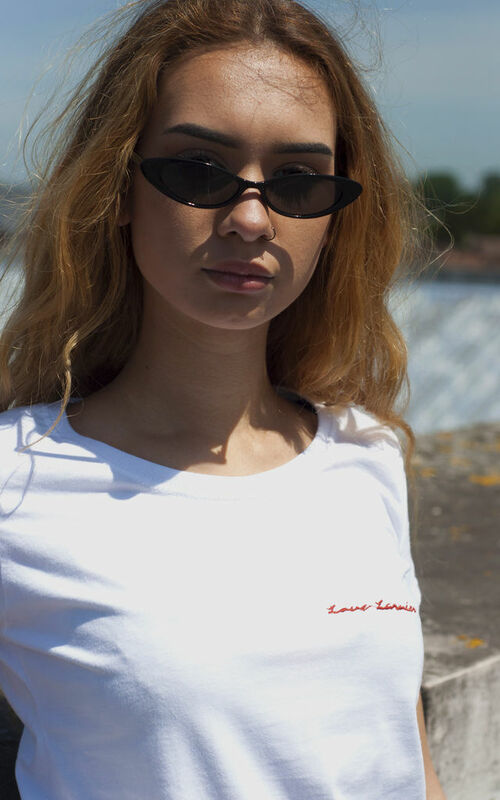 The Love Larnies design is embroidered on a white t-shirt for a loose fit. The designs are all drawn and embroidered/printed in our Hampshire based studio!